Blessings Ink. : Join My Team! 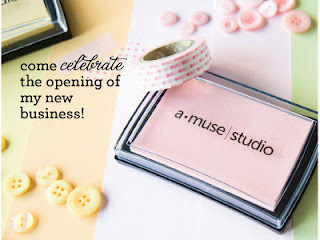 I am so excited to be a part of the Amuse Studio team and I hope you'll join me in this papercrafting adventure! I can't tell you how impressed I am with the quick service and the behind the scenes support for its consultants! Beautiful, high quality products...these stamps are indexed and precut! Access to project ideas, technique tutorials, and a "consultants only" forum ... all designed to help you succeed! Please email me if you have any questions about minimums, commission, or kit details!